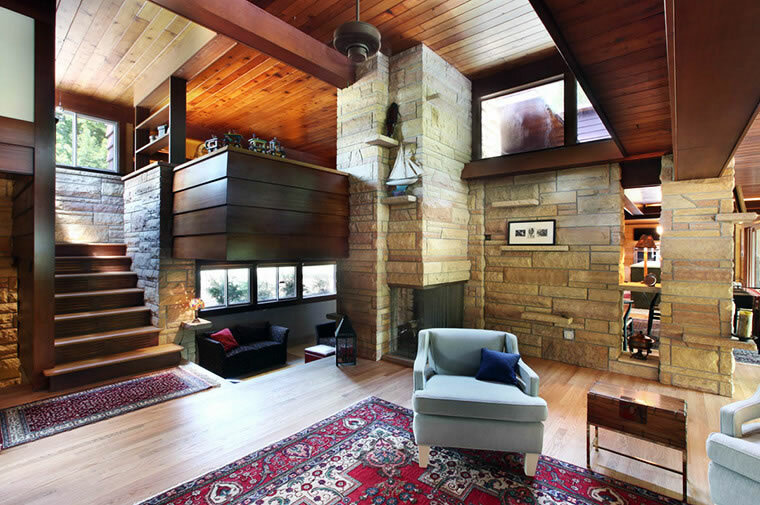 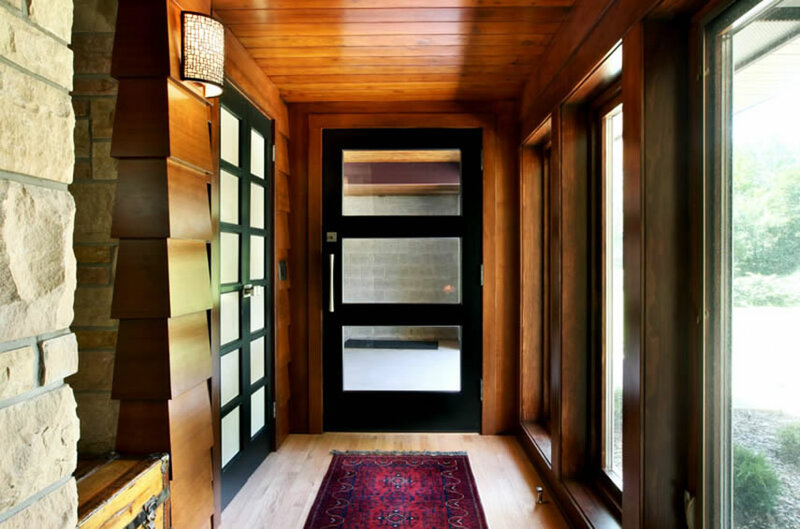 Built on a secluded, 20-acre lot in 1957 by renowned architect John Randal McDonald, a protégé of Frank Lloyd Wright, this mid-century home is characterized by its simplicity and timeless modern design that features natural materials such as quarried stone, wood, and glass. 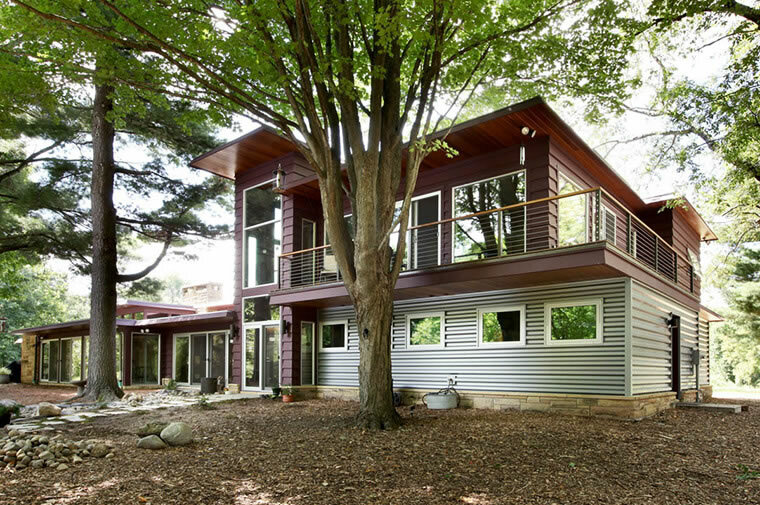 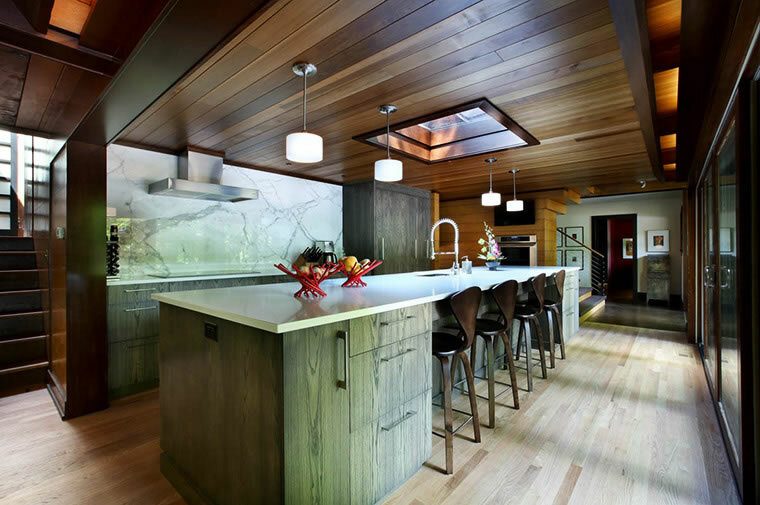 In keeping with the artistic beauty and design of the home, an addition was built using a combination of new and reclaimed materials that, indoors and out, seamlessly blend the existing and new areas of the home. 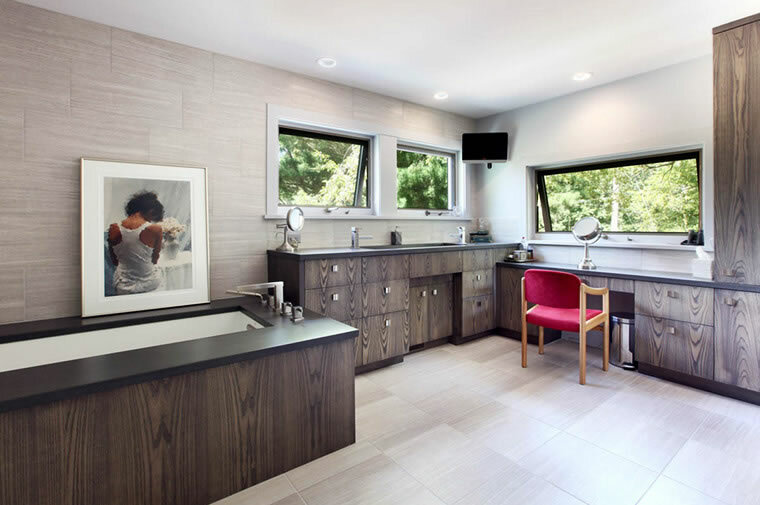 A garage, new main floor entrances, a combination mudroom/laundry room/dog wash area, and a full bath were added. 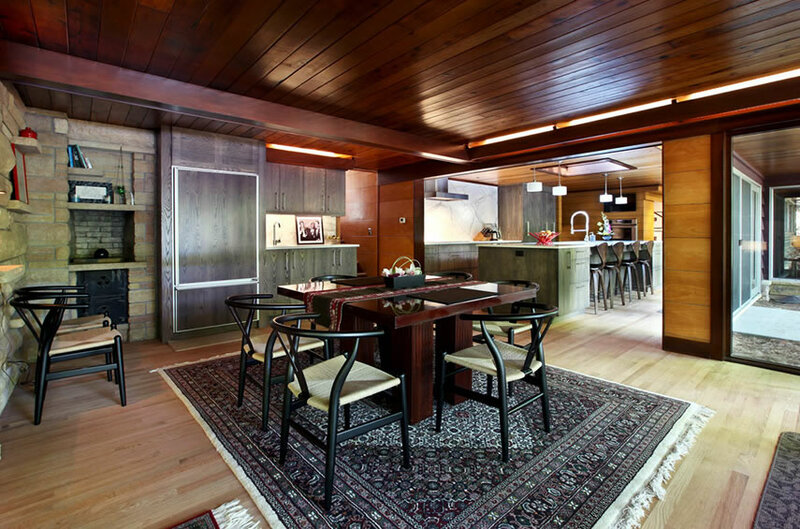 The kitchen was reconfigured and modernized, and the living area was freshened up. 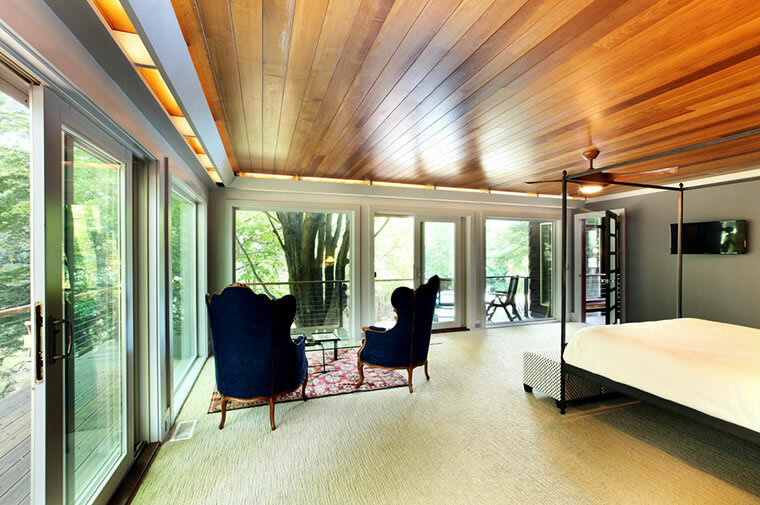 A wood beam separates the old ceiling from the new, larger space. 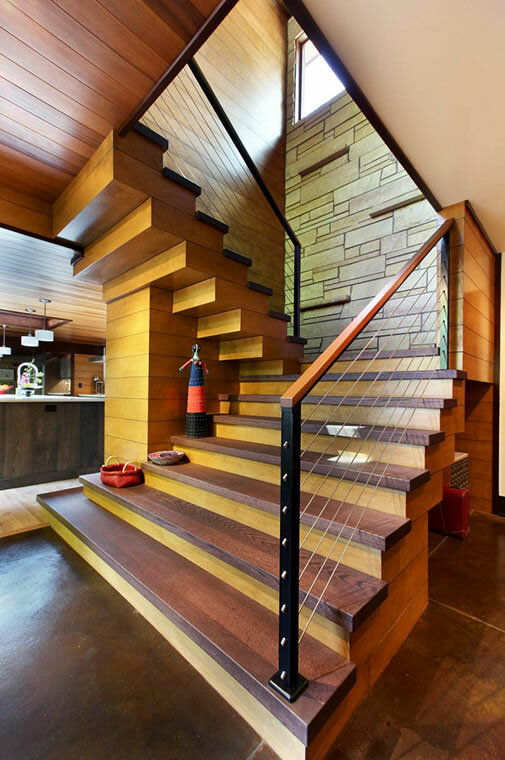 A stunning staircase leads to the private master suite and balcony.